The Global Climate Risk Index 2019, published on 27th November, revealed that over the period 1998-2017, Morocco lost $174m annually due to climatic hazards, considerably impacting GDP. It also ranks 124th in the world for countries facing climate risk and 108th for climate-related deaths. Morocco scores alongside countries such as Malta, the Maldives, Namibia and Lebanon. The new Climate Change Performance Index for 2019 has ranked Morocco as the 2nd-best performing country in the world, scoring 70.48, behind Sweden, who scored 76.28. Morocco performed excellently in all categories, scoring ‘high’ in GHG emissions, renewable energy, energy use and climate policy. Saudi Arabia and the USA came bottom of the table. 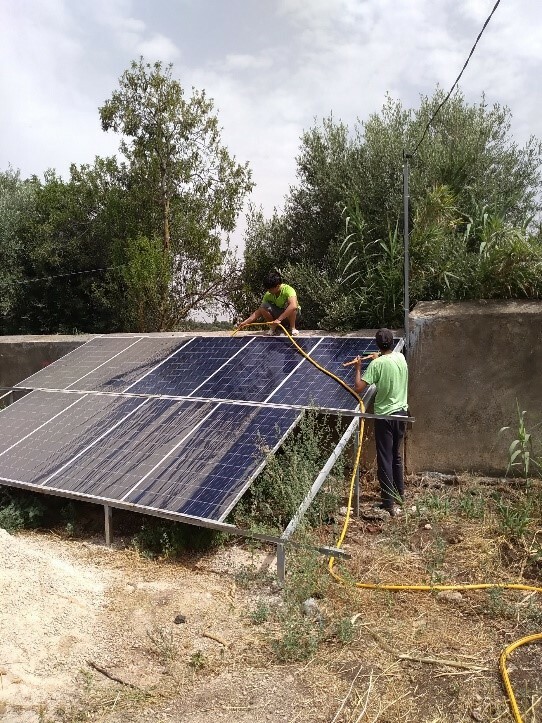 This initiative, jointly funded by Cluster Solaire (Moroccan association of solar energy) and International Finance Corporation (part of the World Bank), will help to increase the capacity and skill of Moroccan renewable energy start-ups. It will also strengthen the solar energy company development ecosystem, to expand the market of environmentally sound technologies, to create new jobs and mitigate climate change. In the last 40 years, water availability per person per year in Morocco has dropped by 2000m3 to just 500m3 due to global warming. In the Souss-Massa area of Morocco, which provides 60% of the country’s citrus exports, the two main groundwater aquifers, which feed the agriculture sector, have seen a sharp decline since 2000. In response, the region has begun an innovative irrigation experiment to combat this problem, in line with the Plan Maroc Vert’s ambitions to reduce water usage in farming by 50% and to convert 550,000ha of land to drip-irrigation. To work effectively, and prevent over-exploitation of water, drip-irrigation technology must be coupled with water consumption quotas, water meters and a billing system adapted to water availability. In Souss-Massa, weather stations are used, covering a 2000ha radius which records weather data daily, helping farmers estimate their water need based on the rate of evaporation predicted. This helps them save water use by over 25% and on energy-related expenses. A new survey, conducted by the Economist and Sunergia, found that 60% of respondents opt to buy Moroccan domestic brands and products- mostly because of the cost of imported products. 70% of rural respondents preferred local products, whilst the majority of 15-34 year olds prefer foreign imports. Moroccan citrus production has increased by 18% over the previous year, reaching 2.6 million tons, due to good weather conditions and an increase in the total harvested area.